Brintons has a strong presence in Slovenia through its agent distributor, EKO STIL and has an exclusive supply agreement with HIT Casinos to meet all of its woven Axminster carpet requirements. 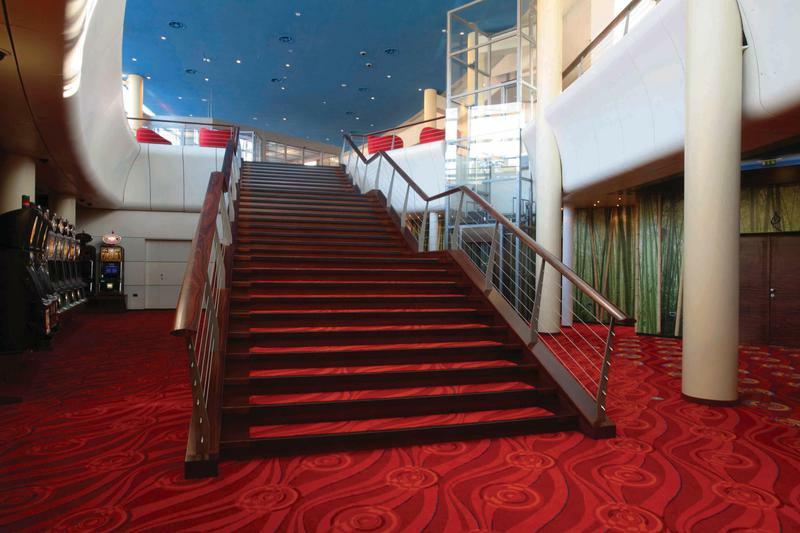 Before it started work on the Bernardin project, Brintons had already designed and supplied carpet for four other casinos in the HIT portfolio. Brintons was briefed by the appointed interior design practice – Omnia – for Casino Bernardin and was asked to produce strong, contemporary designs that could be used in conjunction with a bright colour palette to give a striking appearance and compliment the modern interior features at the new build casino. 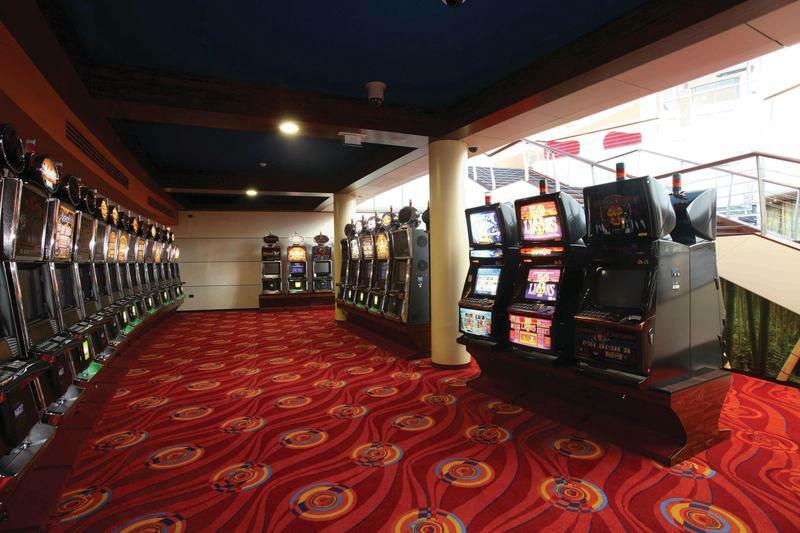 Due to the extensive electrical cabling under the floor in the casino, Brintons recommended that Axminster tiles should be installed at Bernardin. This type of installation gives easy access to the under floor area as it allows the tiles to be effortlessly lifted and replaced for maintenance and cable relocation purposes. And thanks to the seamless quality of Brintons’ Axminster carpet tiles, the visual aesthetic of a broadloom type installation can still be maintained.